Dream Medical Group is a group of plastic surgeons based in Seoul, Korea. It was originally founded by a team of Seoul National University graduates who aspired to be pioneers in Asian aesthetic surgery. Since then, the surgeons have become renowned for their sophisticated techniques implemented on their patients which include a number of A-list South Korean celebrities. 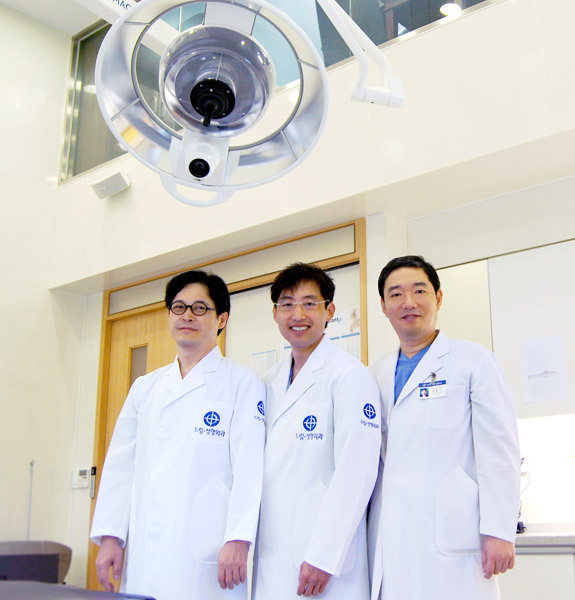 Dream Medical Group has earned the title as the leading group of plastic surgeons in all of South Korea. Dr. Kenneth Kim was offered partnership affiliation with Dream for his in-depth scientific and technical background. Dr. Kim serves as Dream Medical Group Director of Technology and Scientific Advancement. Dream recognized that Dr. Kim possessed similar interests for the dynamic approach to plastic surgery; each operation must function to give the patient what he or she was naturally meant to have. The techniques used by both Dream surgeons and Dr. Kim are minimally invasive so as to reduce any chance of post-operational scarring. The results are subtle and elegant, and never overdone or artificial. These advancements have contributed to state-of-the-art techniques to Asian aesthetic surgery that would benefit many patients. Therefore, patients no longer need to seek surgeons overseas in South Korea to attain the same results here in the US.